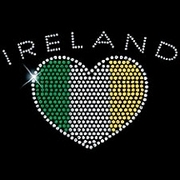 Irish T Shirts & Hoodies! 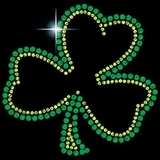 We have the largest selection of Irish and St Patrick’s Day T Shirts, Sweatshirts, Polo's and more. 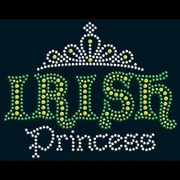 All of our Irish tee shirts, clothing and merchandise is made right here in our facility! 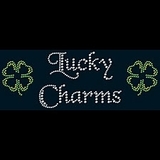 The obsession with Irish t shirts and clothing stems from the excitement of St. Patrick’s day, but our selection of Irish tee shirts go beyond our St Patrick’s Day t shirts for one single day. 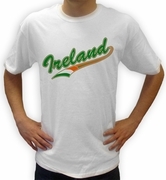 TShirtHub.com has a variety of shirts that will allow you to express your Irish cultural pride. These mean green t-shirts are exciting and fun to wear. They contain provocative traditional messages like Kiss Me, I'm Irish and Do You Have Any Irish in You? The Irish Team Shirts and This is What Irish Looks Like! 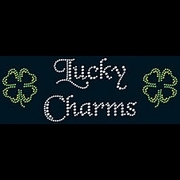 are great to wear at sporting events and outings. 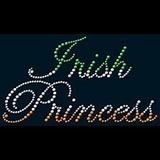 For the ladies, we have Rhinestone Irish Princess in Script Shirts that spell out the words "Irish Princess in rhinestone letters colored for the Irish flag (green, white and orange). 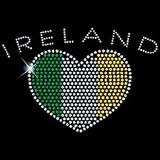 As you can see these Irish t shirts are worth their weight in gold. No where else on the web will you find the type of selection of Irish tee shirts and themed Gear that you see here at TShirtHub.com. 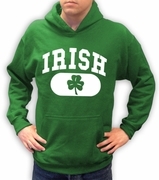 You'll always find the highest quality Irish when you shop at TShirtHub.com.